Pets are pretty and we all love to have them in home but their presence to interior spaces may be a little disturbing as they are not wise enough to take care of your things and would start jumping instantly here and there and also on your expensive furniture item! If you are going through all this then such actions of pets can cause great anxiety to you! The only solution is to build a separate residence for them in or out of the home! That’s why the mostly dog lovers give preference to doghouses and dog beds to not let their dogs disturb their interiors! 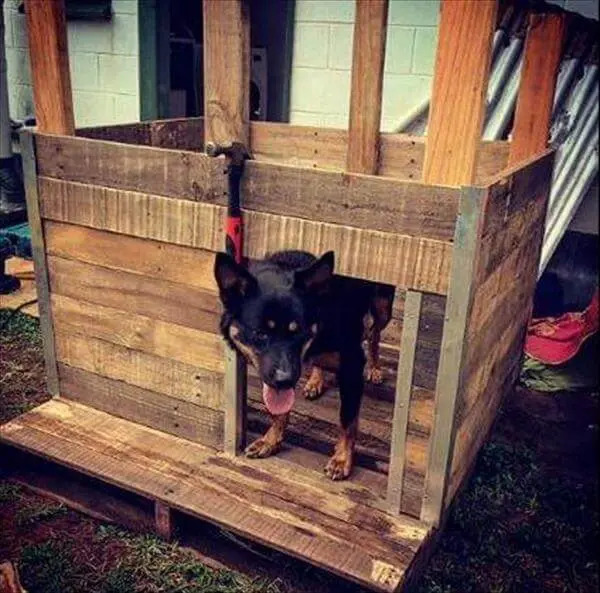 Checkout some pallet dog bed and dog house ideas to get all related to your pets in a budget-friendly way! 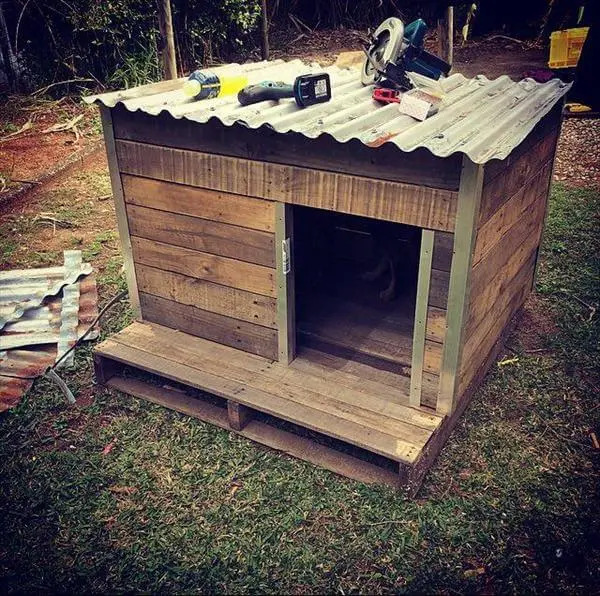 If you are willing to build a dog bed out of pallets then you can follow the instruction given in this DIY pallet dog house tutorial, given a metallic top and has robust wooden dimensions! The edges have been trimmed by using angle metal bars which create distinction to whole doghouse design! 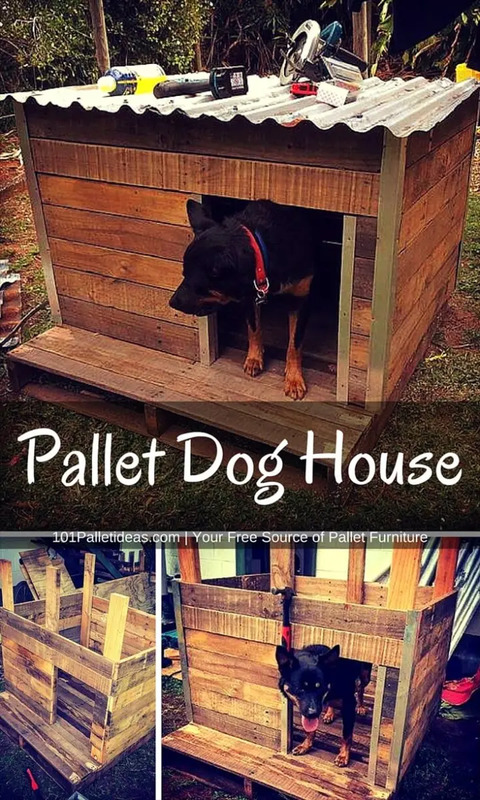 Just make one pallets board lay down on the ground floor to install the base of the Pallet dog house! 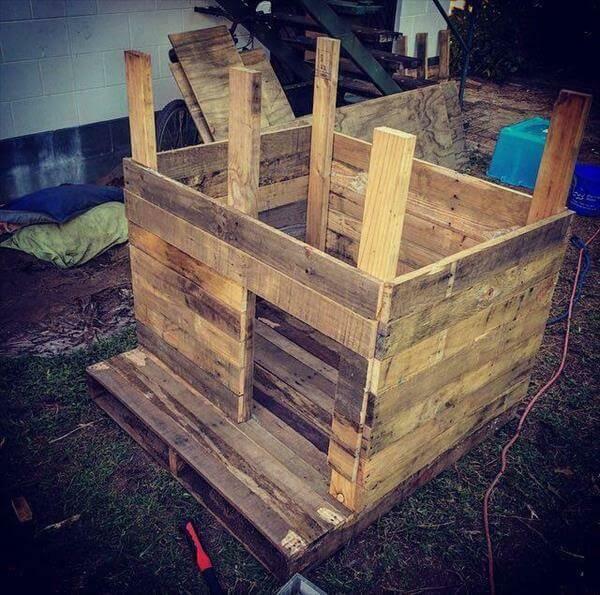 Now select a set of accordingly cut down pallet lengths and put them together to build the sides, back and front of the dog house! Leave the space for entrance and add inside supports to hold the installed pallet boards in place and also to make the overall layout more stable! For decorative edges, you can install the metal angled bars! Just like a shop shutter, the metal roof has been selected! The metal roof will not let the rain water to damage the wood and hence this doghouse can even withstand the extreme outdoor climates! 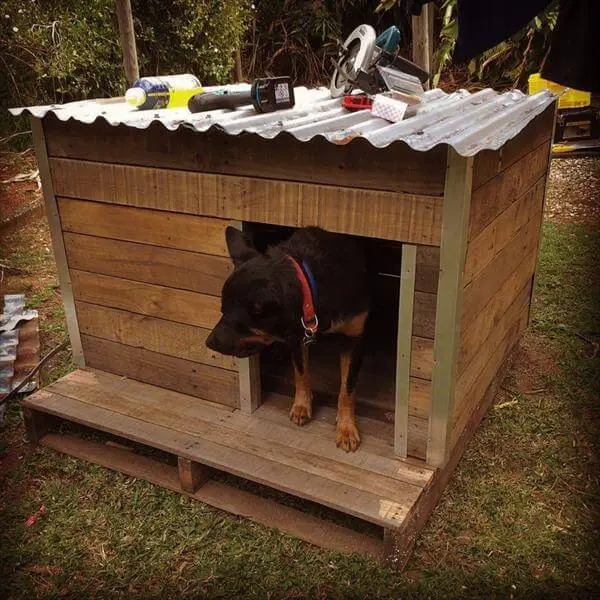 Fix the roof by adding nails to boundary and finish the dog house using a custom paint shade! Add a hook to tie the dog rope and also add some dog related embellishments, signs and art toys to fancy it up more!